A reliable, compact, and versatile stylus pen that combines both pen and stylus functionality in one cool design. 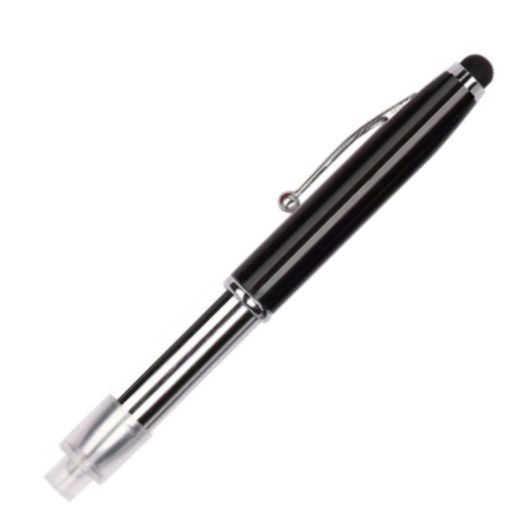 Two-in-one pen offers both a pen and stylus to keep you working efficiently throughout your day. 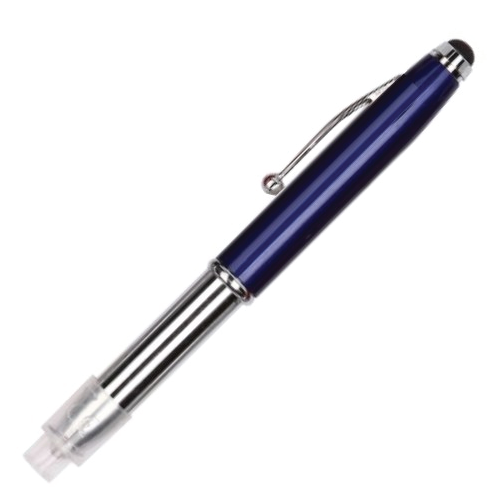 The pen offers fluid and long-lasting writing. Its high-performance stylus delivers incredible touch accuracy for effortless navigation and writing. Comfortable cushion grip keeps your hand relaxed to reduce writing fatigue during prolonged use. 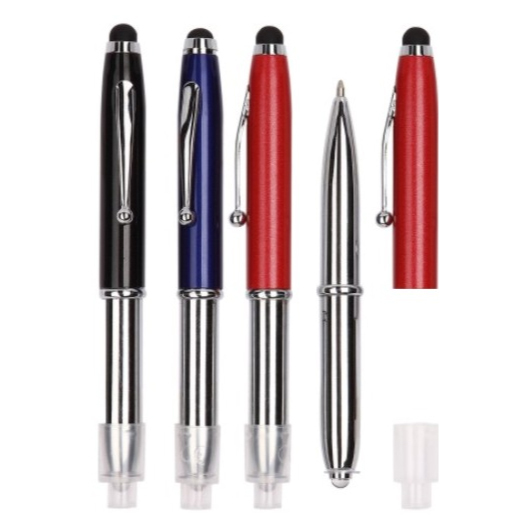 It features cap off ball pen with LED light, shining chromed barrel, metallic coloured aluminium cap, metal clip, and touch screen stylus on the top.